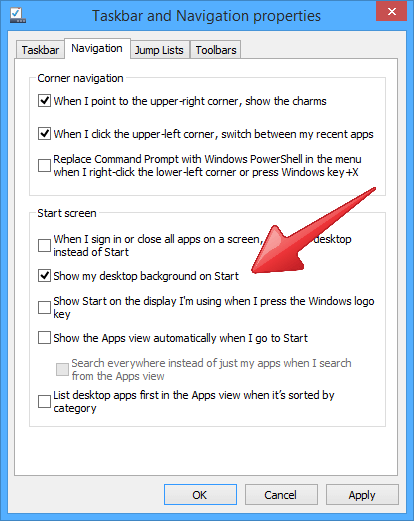 Panel, go to the Appearances and Personalization then click on Taskbar and Navigation. Finally, click the Navigation tab in the panel. You should be at a panel that looks like the one to the right. There are a lot of different settings on this panel but the one we are interested in for this How To is the 2nd one in the Start screen settings. This option is “Show my desktop background on Start”. Tick that box, click Apply and then close your way out of Control Panel. It will take a minute or two for your PC to sort itself but you will eventually end up with your Desktop wallpaper as your Start screen wallpaper. How long this take completely depends on your PC but be patient. Now if you know me or have been reading by blogs for any amount of time you know that I’m a huge Formula One fan. While I’m still a big fan of Kimi Raikkonen, I’m not such a huge fan of Ferrari. However there is another Finn in F1, Valtteri Bottas, and I’m a big fan of both him and his team, Williams Martini Racing. 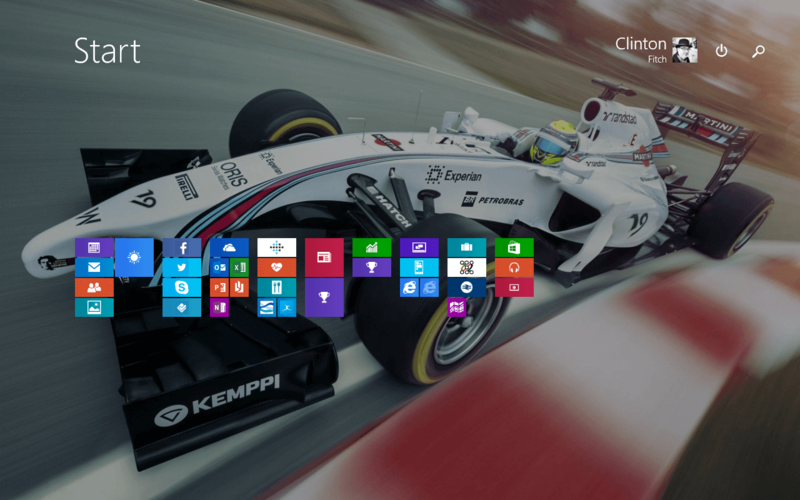 Therefore, as you would expect, my Windows 8 Start screen appropriately reflects my passion for the sport and for Williams F1. after a few minutes your PC will sort itself and you will be back to the normal (dare I say boring?) Start screen. For more How To’s, particularly for Windows Phone, be sure to visit my How To’s page.